Don't Forget To Tackle These Jobs This November! Happy Halloween everyone, I hope you had a good one! Since it's fallen on a Monday, me and my boyfriend celebrated last night instead with some pumpkin carving, scary films and plenty of gimmicky spooky themed treats. With October done and dusted it means we're accelerating towards Christmas at an alarming rate, but thankfully there's still a month to get everything in order. 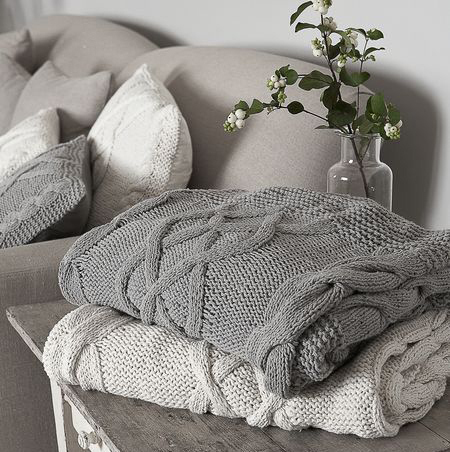 As well as planning and budgeting for the festive season, it's time to make some changes in the home as the cold weather really is on the way now. Here are a few essential jobs to add to your list. I definitely recommend having a deep clean at the start of each month, and tackle the kinds of jobs that don't need doing every time you clean the house. For example I plan on hiring a rug doctor to give all of the upstairs carpets a clean this month, as well as wash all of the curtains in the house. Now is also a good time to get rid of the old to make way for the new. If you know you're going to have lots of new and exciting things coming into the home at Christmas, then get rid of what you're no longer using. You'll need room for that Christmas tree on the first of December! If you haven’t already started cranking up your heating every night, chances are November will be the month that you do. Now is the perfect time to have your boiler serviced, and check that there are no issues. The last thing you need is for it to pack up on you over the next few months now the temperatures are dropping quickly. Regular servicing allows the engineer to pick up on any issues early on, potentially saving you a lot of money and hassle later down the line. If you have an air conditioning unit, get that serviced at the same time. Since you won't be using it until next year, it will give you peace of mind that everything is in full working order. Companies such as ACE Group are able to to service your unit for you. The clocks going back means we've reached the stage in the year where it's dark when you get up for work, and dark when you get home. While this is always a bit depressing, at least having nice lighting softens the blow. Use a couple of different light sources in each room so you can tailor the ambience to however you want it. For example you could have a very low, soft light for watching tv but something brighter for reading. I've recently invested in Ikea's Hektar oversized lamp and I'm obsessed- it adds quite an interesting and industrial look into an otherwise pretty and girly room. Finally, while it's likely to be wet and dreary until the spring there are important jobs to get sorted in the garden. Clear gutters which can become blocked with fallen leaves, and cause leaks and damage to the house. Jet wash paving slabs and decking to remove any mossy layer that's accumulated, as this can become slippy when it gets rained on. If you're celebrating bonfire night this weekend, having good seating for guests and a fire pit to keep warm is a good idea! What tasks are you planning on getting done in the home this November?